There are only a few things you can truly count on in this world: Death, taxes, and an annual comedy from Woody Allen. The legendary director's latest, Cafe Society, hasn't even hit theaters yet and his Amazon series isn't close at all, but he's already beginning to line up stars for whatever his 2017 film turns out to be. Variety reports that Kate Winslet will star in Allen's upcoming project, making this the first time they've ever worked together. 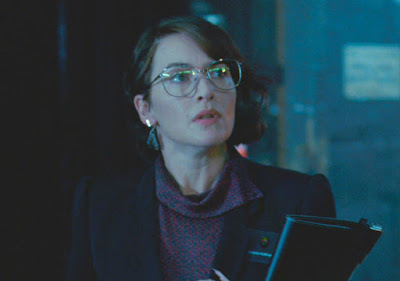 Of course, there aren't any plot details yet and we have no clue who Winslet will be playing. But isn't kind of cool that after all this time we're still seeing Allen find stars he hasn't had a chance to direct? Given the level of neuroses she showed in Steve Jobs it wouldn't be such a bad fit for Winslet to take the lead role, usually played by a guy in the Allen mold. Shooting will begin in the fall, just before Winslet films The Mountain Between Us alongside Idris Elba. Expect more announcements for Allen's film in the coming days but this is a pretty good start.